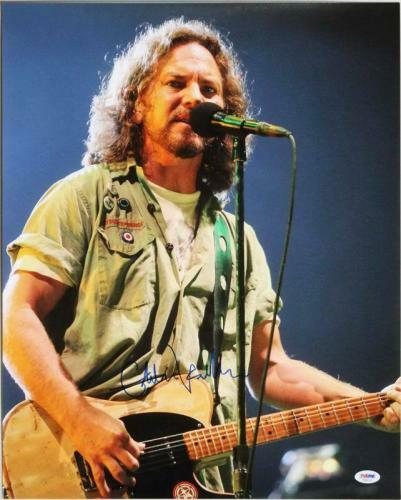 Eddie Vedder is one of the greatest rock stars of our time. 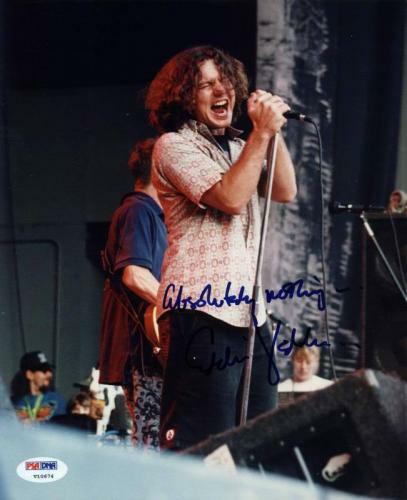 Vedder is the frontman and lead singer for the rock band Pearl Jam, which was one of the most popular bands of the 1990s. 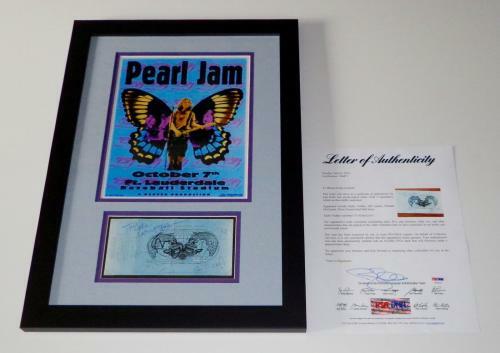 Pearl Jam was part of Seattle’s grunge scene, a movement that was characterized by distorted guitars and snarling vocals. 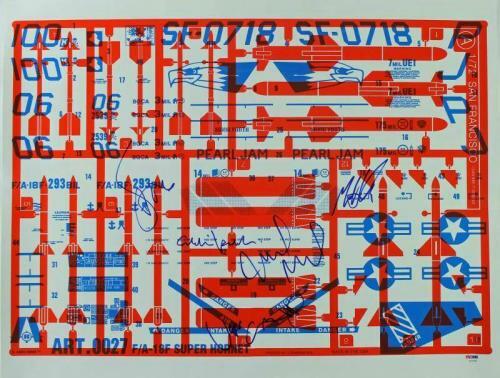 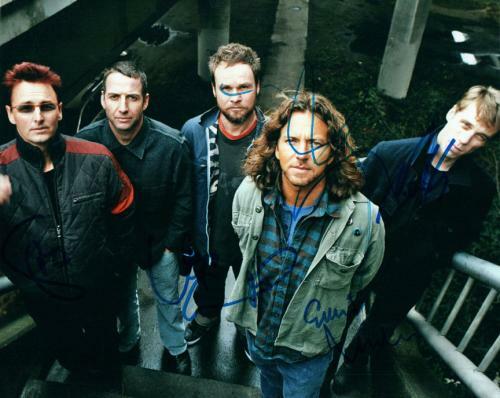 Over the course of their history, Pearl Jam has sold tens of millions of albums worldwide, has sold out concerts in almost every country, and is widely regarded among the most critically acclaimed bands of all-time. 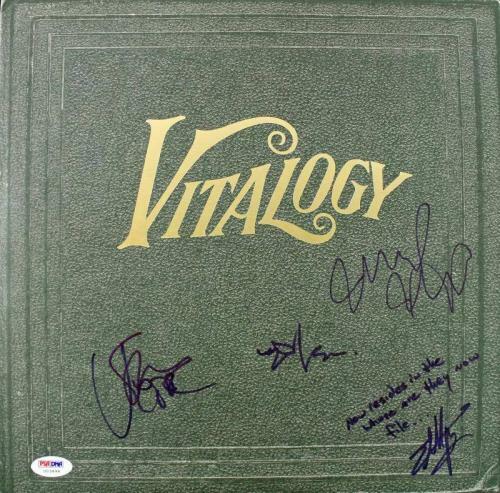 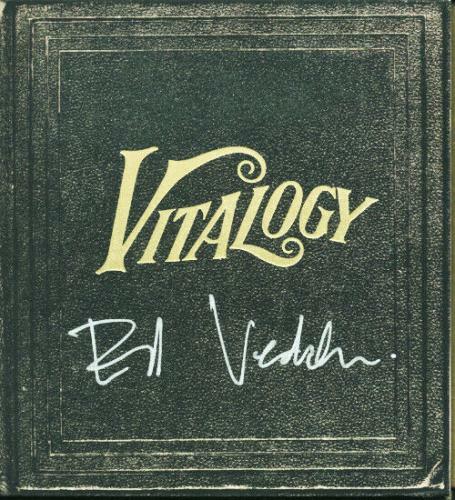 Pearl Jam has released numerous classic albums like Ten, Vs., and Vitalogy. 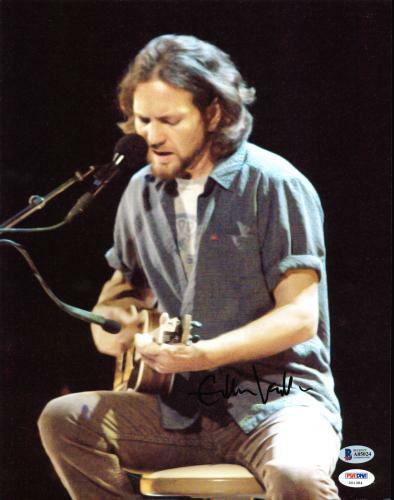 Those albums contained hit songs such as “Jeremy”, “Alive”, “Even Flow”, “Daughter”, and “Immortality”, all of which were written and sung by Vedder. 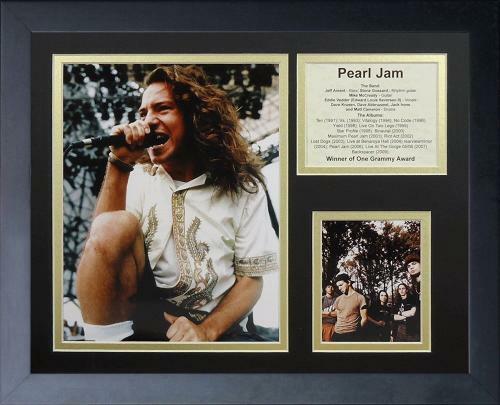 Pearl Jam has been nominated and won numerous Grammy Awards including Best Hard Rock Performance in 1995 for “Spin the Black Circle”. 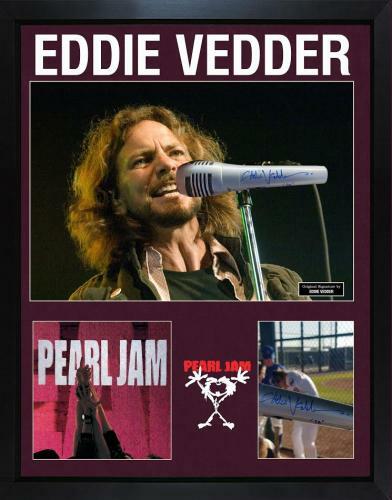 In 2017 Pearl Jam was elected into the Rock and Roll Hall of Fame cementing Vedder’s icon status in rock history forever. 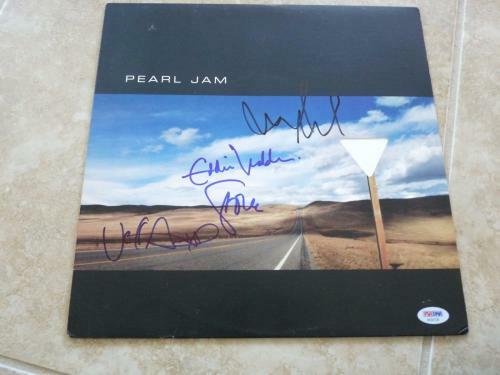 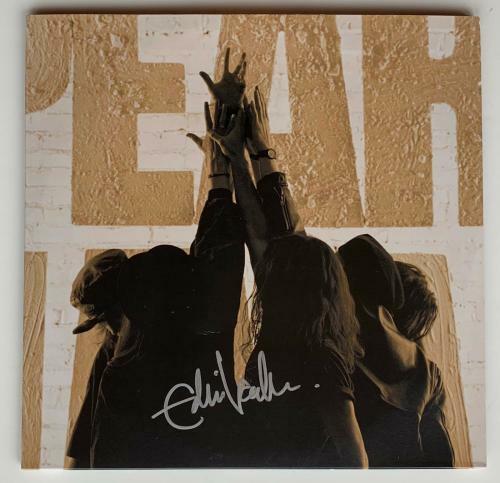 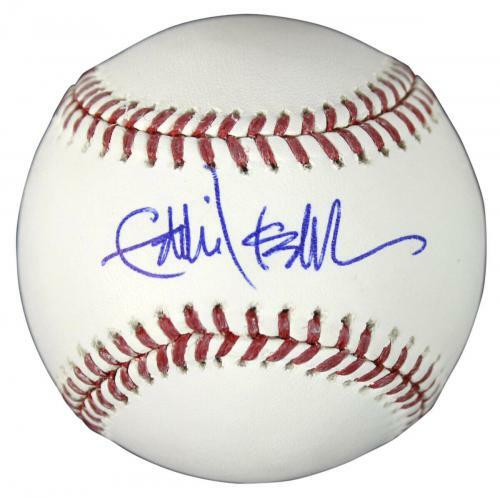 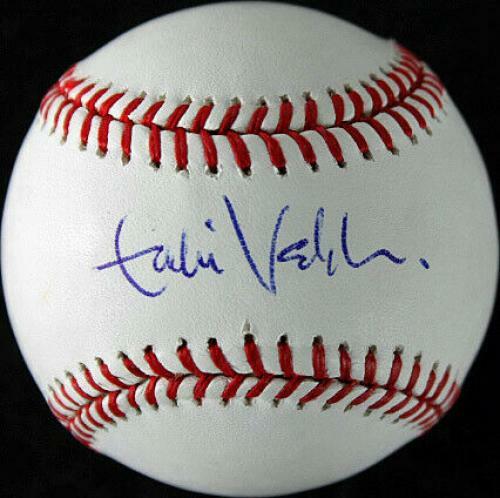 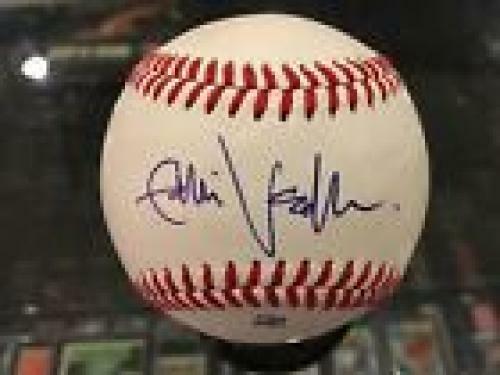 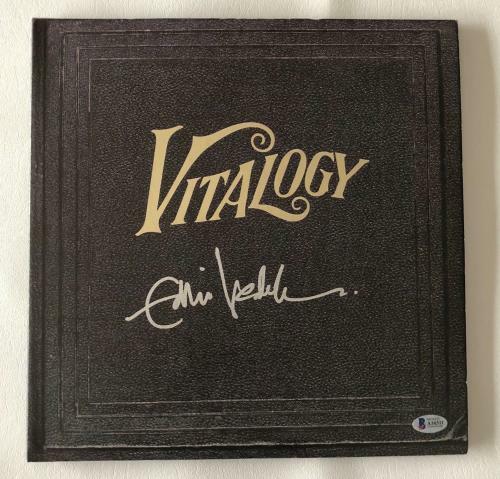 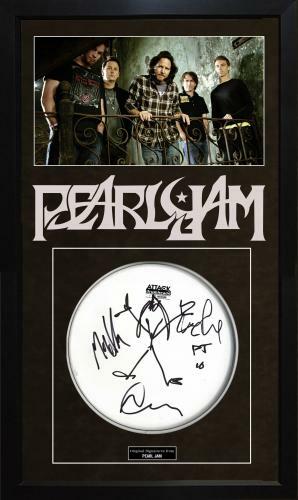 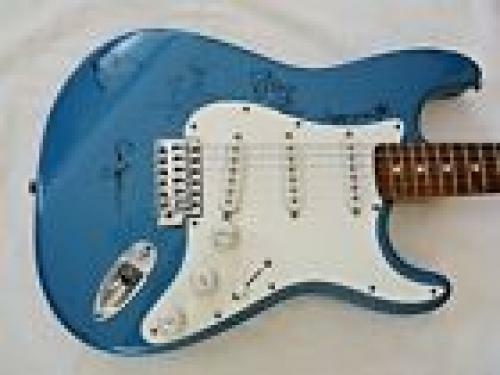 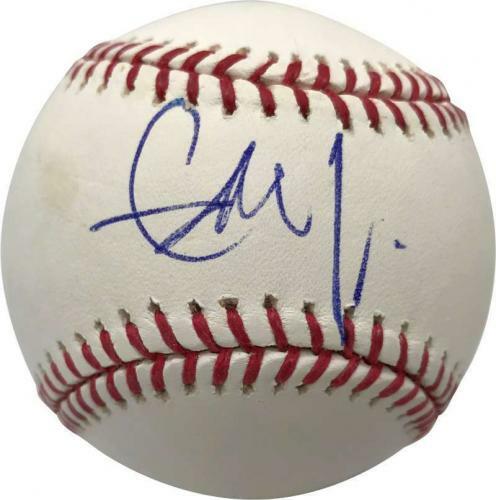 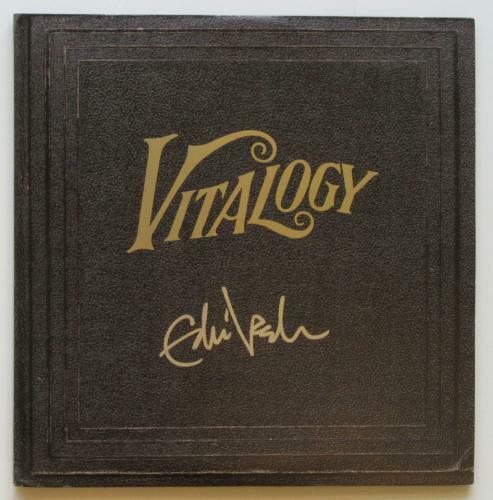 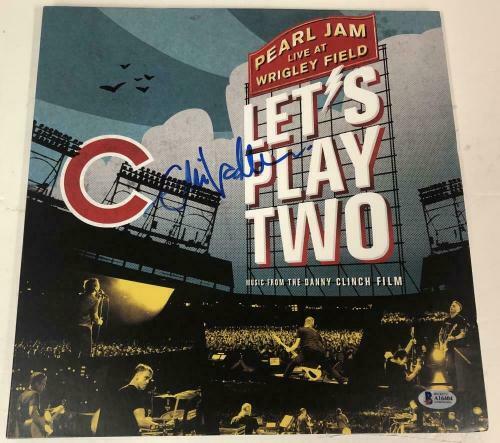 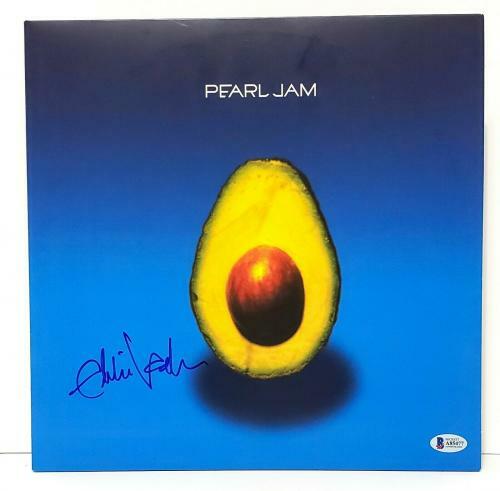 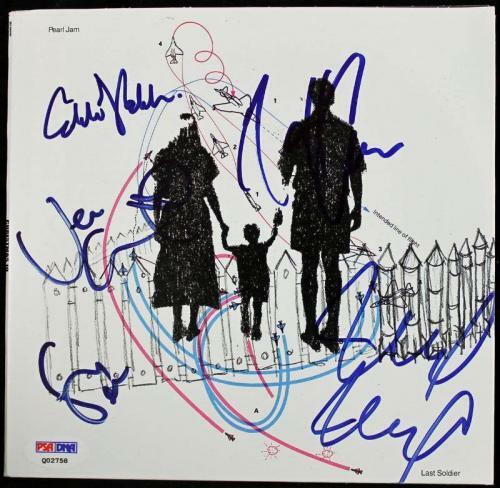 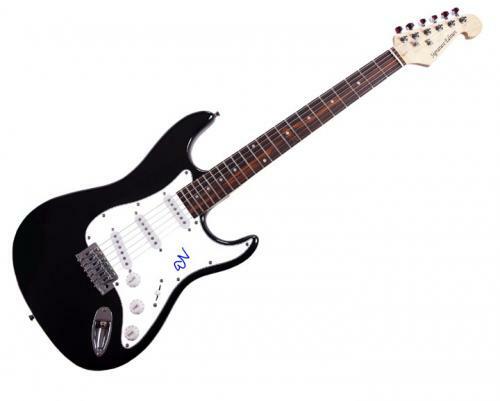 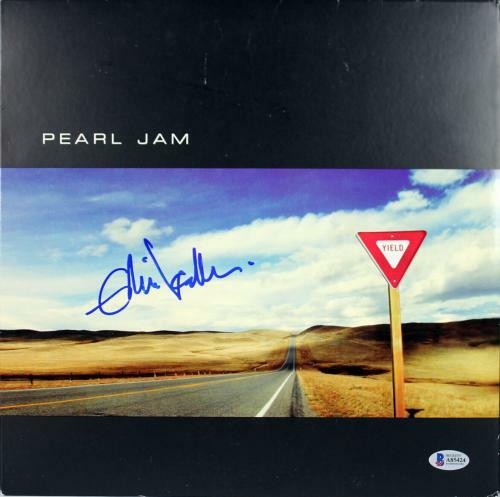 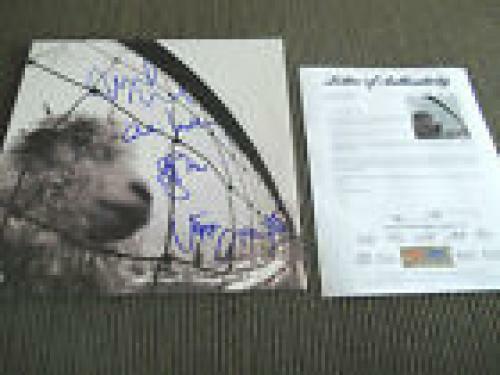 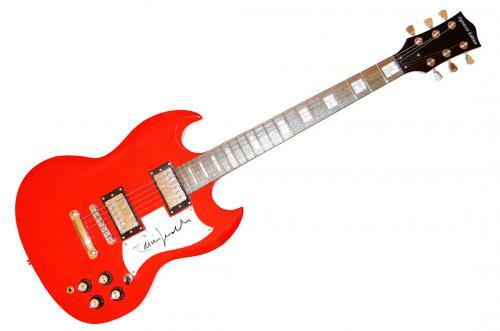 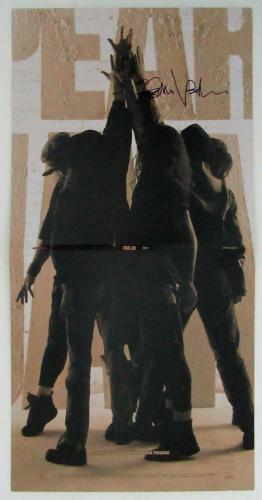 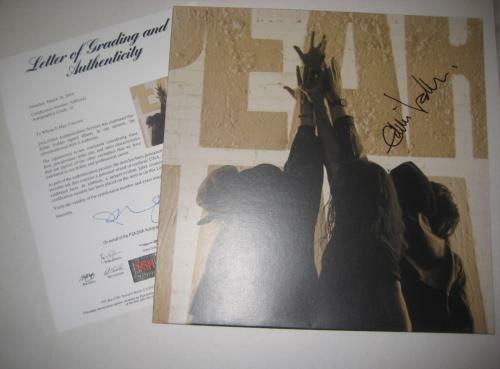 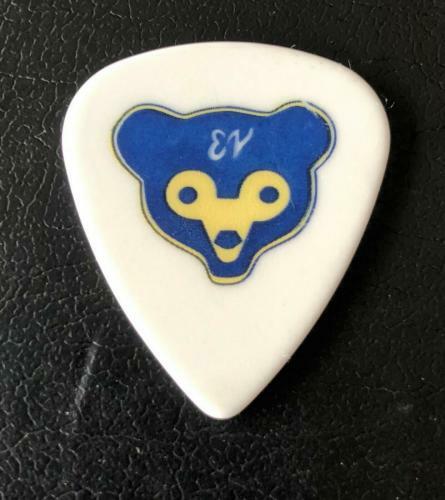 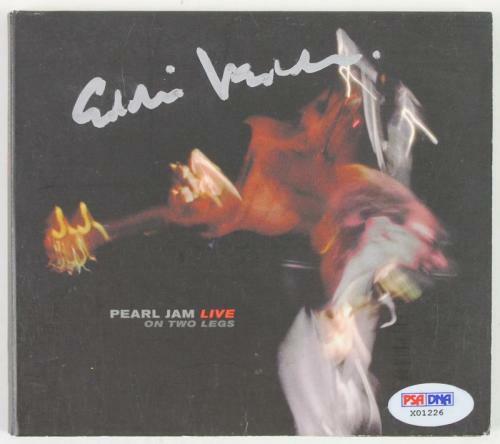 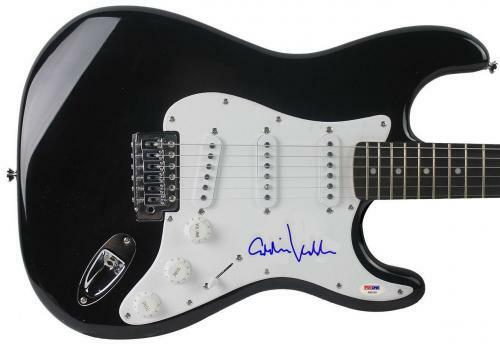 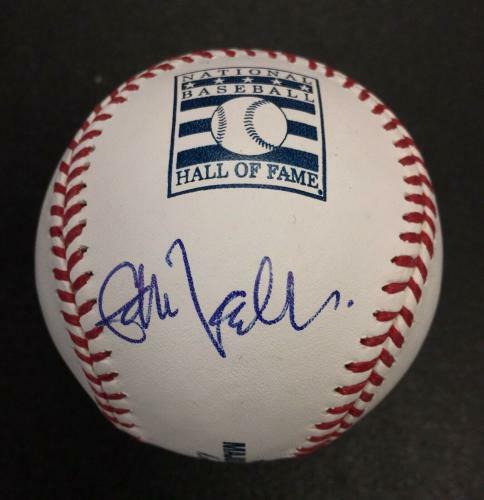 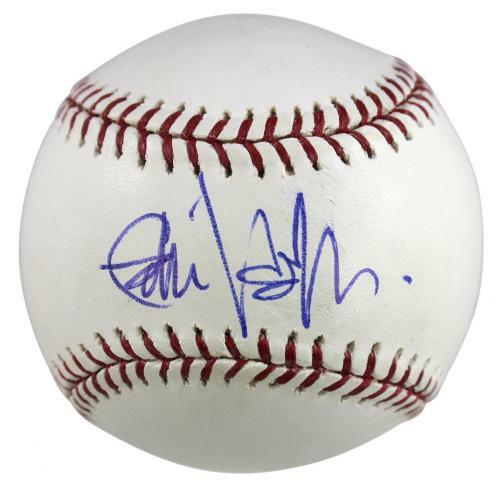 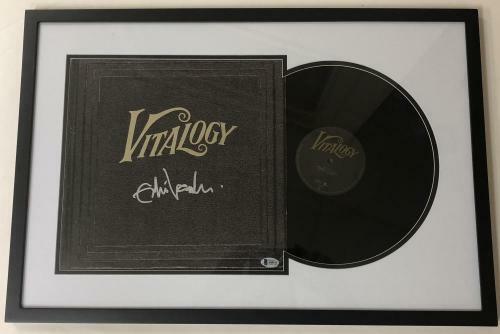 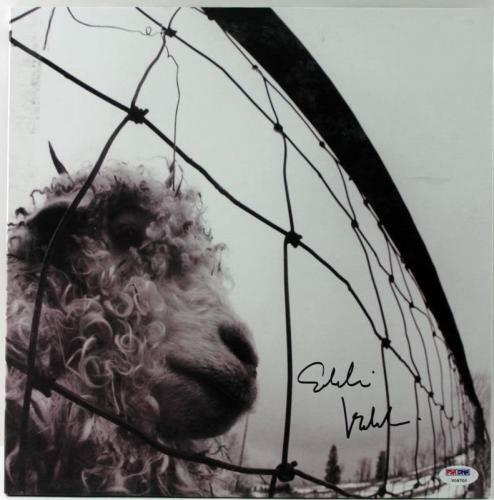 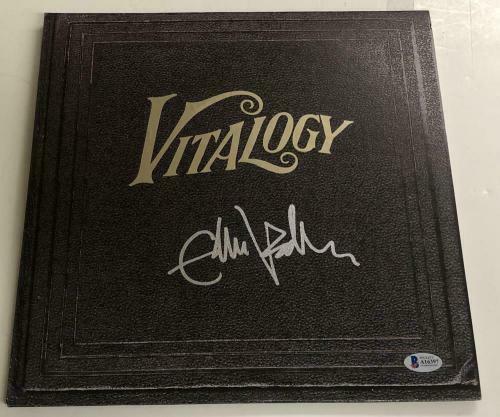 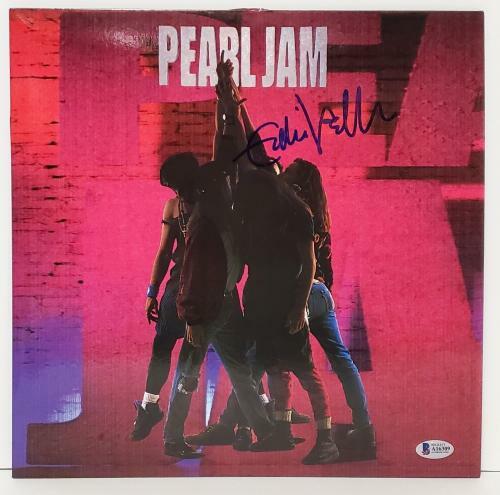 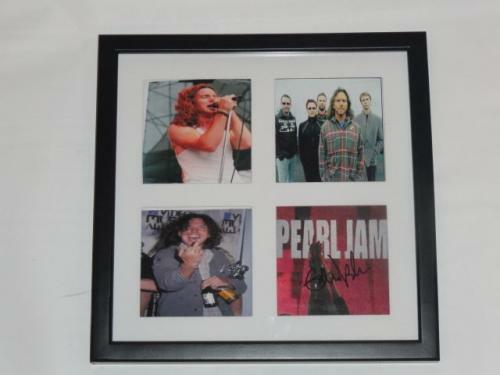 Autographed Eddie Vedder collectibles are not to be missed, so purchase yours as soon as possible. 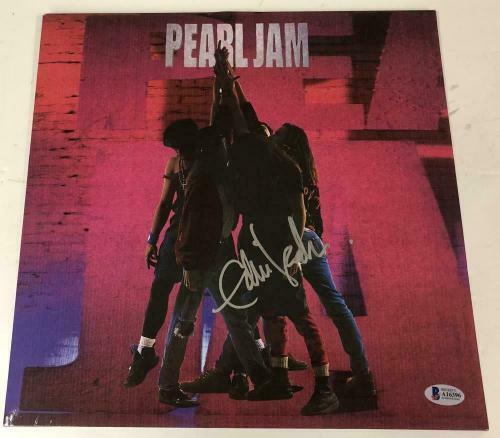 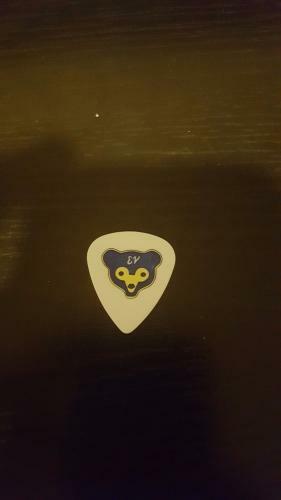 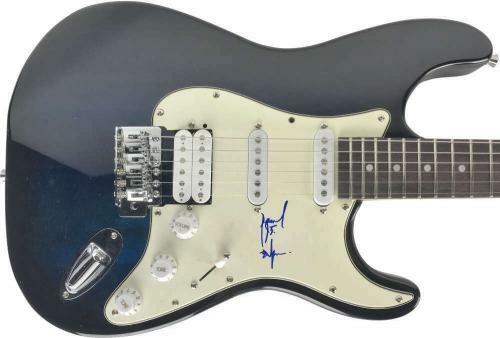 Signed Vedder memorabilia are rare and unique items and we guarantee that ours are always 100% authentic. 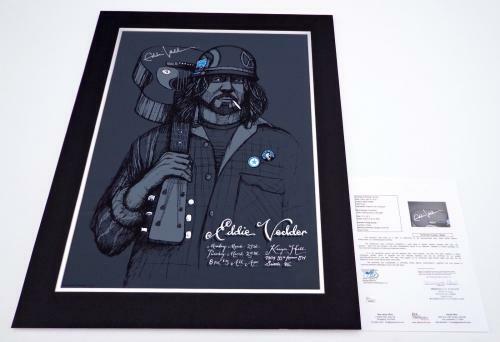 Purchase your very own product offerings for this legendary frontman before we are sold out. 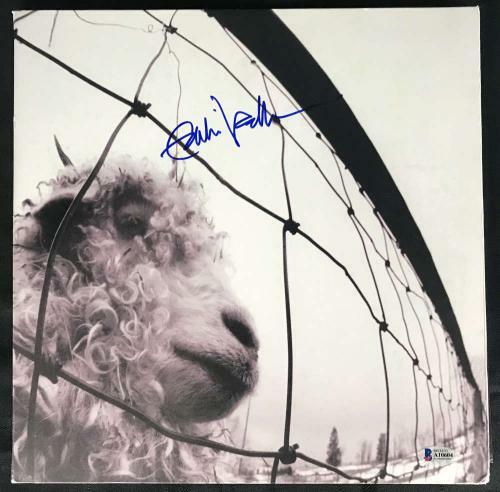 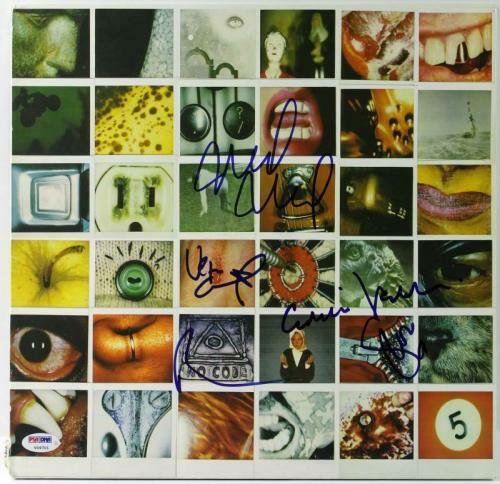 Eddie Vedder Autographed Photos: An Eddie Vedder signed MTV Music Awards photo will look amazing on display in your home or office. 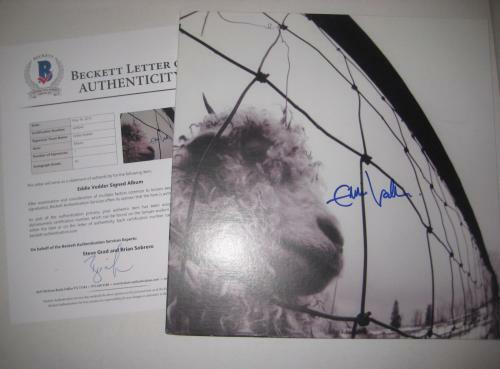 The photos that we have available for the purchase of him will capture unbelievable images that you will be able to enjoy forever. 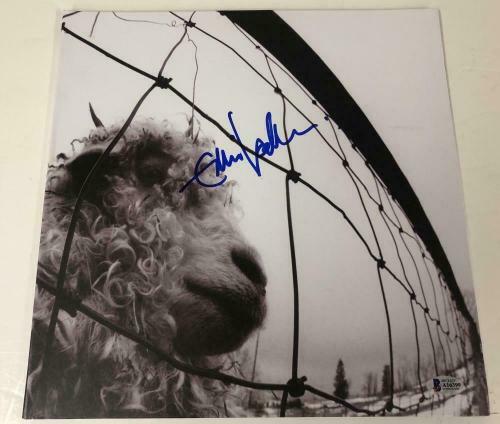 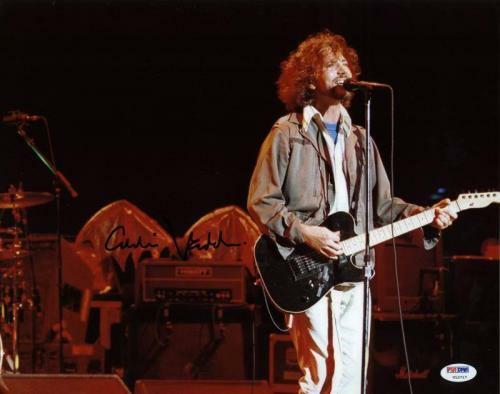 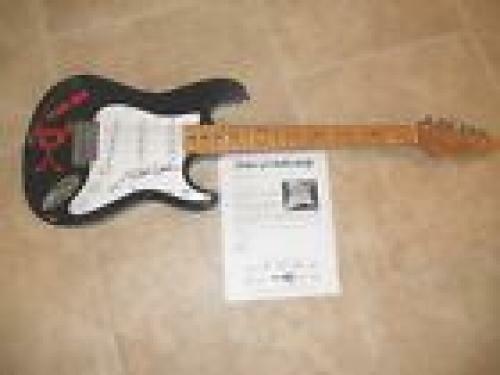 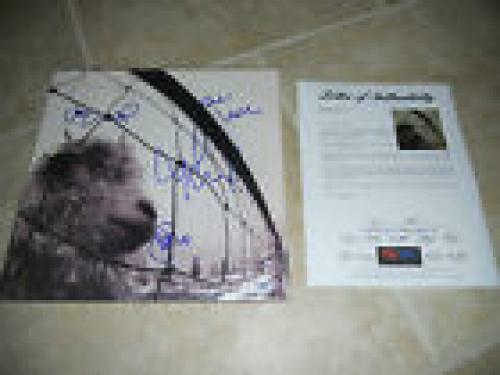 Autographed Vedder photos are rapidly growing in worth and value, making them excellent investments. 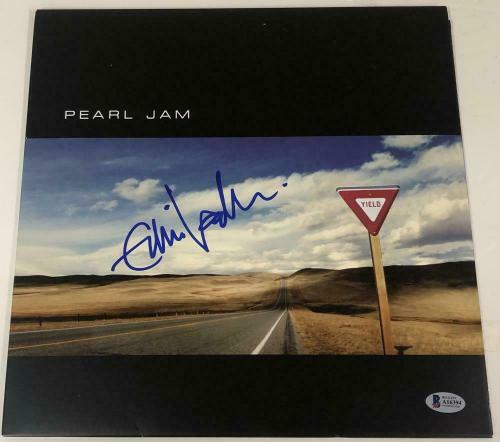 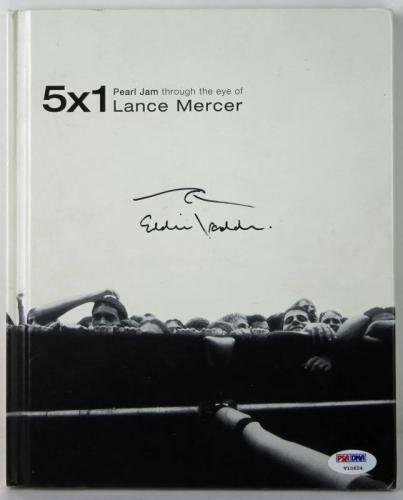 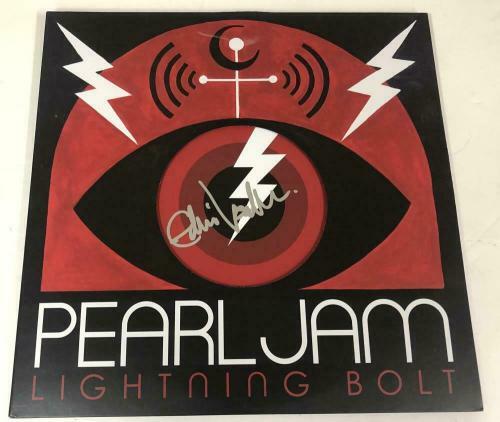 Eddie Vedder Autographed Magazines: Autographed Eddie Vedder magazines are an excellent gift for any of your friends or family members who are Pearl Jam fans. 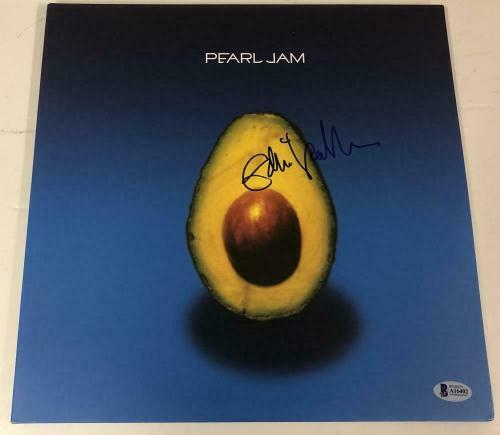 Your friends and family members will treasure this rare and unique collectible forever and will be eager to display it in their home or office. 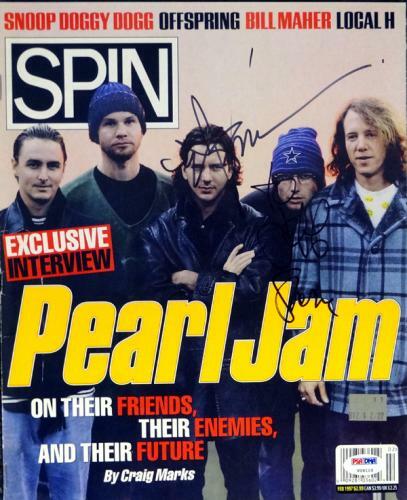 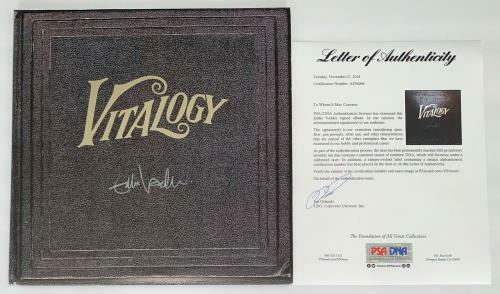 One of our Vedder signed Rolling Stone magazines will make an awesome addition to your own memorabilia collection as well.